Welcome to my 7 Minutes Daily Profits review! We're going to take a look at this one and see if you can really make up to $500 starting today. The name of this product already has me very suspicious. So, is 7 Minutes Daily Profits a scam? I checked out the other reviews, and mine is different. Because I actually bought it and looked at what they offer. 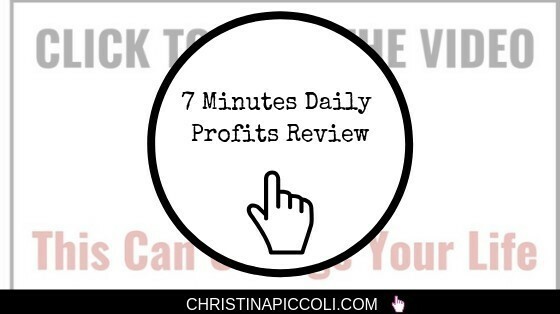 Let's dig into this 7 Minutes Daily Profits review and you can see what I found out about it. Cost: Free, but a $9 server fee?? How Does ​7 MINUTES DAILY PROFITS Work? Is ​7 MINUTES DAILY PROFITS a Scam? As mentioned in the intro, I already have some issues with just the title of this product. It sounds like you only need to do work for 7 minutes a day to see profits. According to the sales video, you can use free software to generate over $500 every day. Right off the bat we get some testimonials about how great this software works. 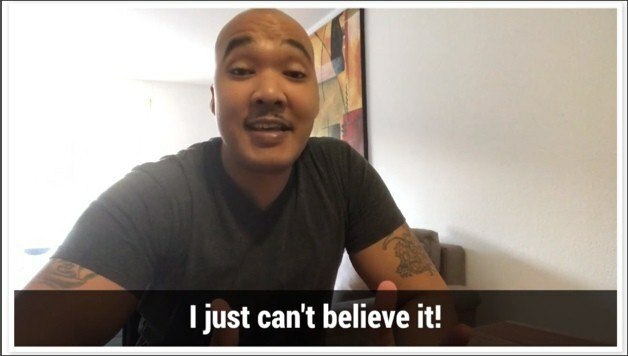 The first testimonial says that he made over $700 in 6 hours. The next day he made over $1,000. Our next testimonial said she made an unbelievable $85k in a month using 7 Minute Daily Profits. 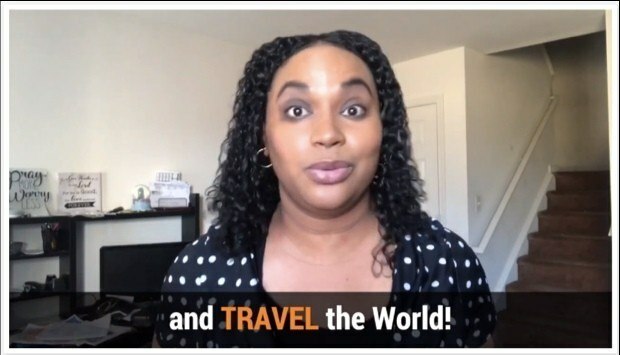 She's made over $200k in 3 months! If these testimonials sound unbelievable, it's because they are. These people are actors from Fiverr.com. They don't make money with this software. They get paid to make these statements, and that's it. The woman in the second testimonial was in the Secret Millionaire Bot review I posted not too long ago, and the guy has been in past reviews I've done too. This is already strike 1. If their system is so good, they should be able to find real testimonials. The video claims that we'll see live, ironclad proof that this works. Our narrator introduces himself as Vince Howard and says we have likely seen him in magazines and news articles. Except, I am pretty sure he's a made up character. So, no, we haven't seen him anywhere. That's strike 2. Usually when someone has a good product, they are happy to show themselves because they are proud of their work. "Vince" goes on to tell us that he learned that he just needed a software system to help him make money online. He was set up with one and was able to make over $500 his first day. 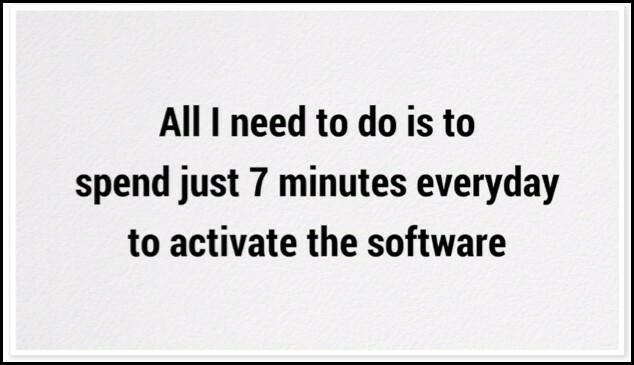 And all he needs to do is spend 7 minutes a day activating the software. That's just not possible. Strike 3, and he's out! Vince gives us a "demo" of the 7 Minute Daily Profits system (I guess this is their ironclad proof? ), but not really. All he does is log into ClickBank, say that he activated the software and then fast-forwarded 7 minutes to show us that a sale had been made. He didn't show us the software or how any of this works. That's because it's all a bunch of BS. There is no software that makes money in 7 minutes. Since this is only $9 (even though he says it's FREE), I thought I would purchase to have a look inside to see for myself what this really is about. Of course, I was hit with some upsells immediately. As soon as you get into the system, there's this button to access VIP training. This goes to a sales page for a program I've reviewed on here. You can see my Membership Method review here. The thing is, Membership Method is a completely different type of program, and has nothing to do with the way that 7 Minutes Daily Profits works. But, it's a way for these guys to make extra commissions off of you if you decided to purchase in the end. There is surprisingly more here than I expected. However, there are some catches to this program. You will need to buy traffic. This is going to cost you extra, and it's very possible that the traffic you buy won't lead to any sales. Be cautious here. You set up a website using their templates. This is why you need to buy traffic. 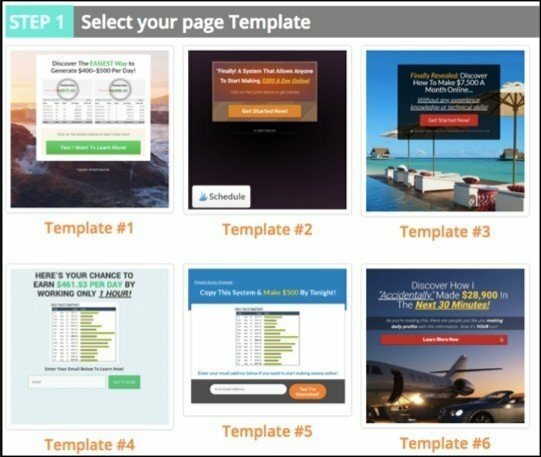 You won't be able to get any free traffic from Google using these templates. You will need an autoresponder so that you can build a list and email people. That's fine, but it's an additional cost that we were not made aware of in the sales video. I would be very careful with this because buying traffic can get REALLY expensive, especially if you don't know what you're doing. I recommend learning how to set up a website from scratch and learning how to get free Google traffic with SEO. Then later down the line, you can tackle buying traffic. 7 Minutes Daily Profits isn't a scam because you do get something for your money. However, the sales video and the tactics they use to purchase is definitely scammy. Surprisingly, there are some decent training videos inside related to solo ads, funnels and email marketing. But...some of the things inside the system make me raise my eyebrow. (I'll tell you about that in a minute.) Overall, I do not recommend this product. They say you can share your site on social media and you can get free traffic that way, but good luck with that. Unless you have a HUGE list of followers, no one is going to see it or pay attention to it. The whole sales video was full of shady selling tactics, so of course, they would have you do some some of the same things. This just a script (you can see that the grammar isn't even correct) that you can add to your site. This is fake, and I don't like it because it tricks people in a way that I think isn't nice. I also don't like this refund policy. You can go through ClickBank to get a refund, no questions asked, so I don't even know what this is. If you want a refund, go through ClickBank directly. Read: How to Return a ClickBank Product in 3 Easy Steps. Update: To be fair, I believe that ClickBank sends the refund request to their support email, so this is probably OK.
You see, you *might* be able to make money with 7 Minute Daily Profits, but you're going to have to invest in traffic. And that traffic might not even convert, so it's very, very possible for you to lose your shirt here. Especially if you're new to making money online. Of course, the choice is yours, but I highly, HIGHLY recommend that you learn how to build your own affiliate marketing website, and you learn how to do it the right way where you actually HELP people instead of creating these junky sites that are only built to take people's money and leave them with little value. Even if you can make a little money with something like 7 Minute Daily Profits, it's not going to be lasting. If you take the time to build a site that's helpful to people, Google will like it and will rank you, and you can get free traffic. Plus, you'll just feel better about yourself. It does take time, and it takes a lot of upfront work, I'm not going to lie to you. But it's worth it. 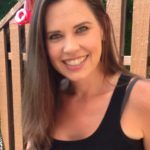 Check out these affiliate marketing success stories to see what I mean. The training that I belong to, and therefore recommend, is called Wealthy Affiliate. With Wealthy Affiliate, you get training, web hosting, a keyword tool, and a community of hundreds of thousands of people to help you along the way. 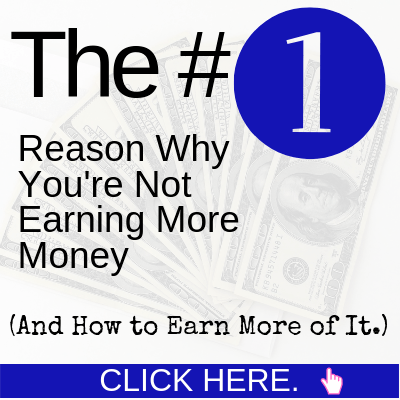 They teach you the RIGHT way to make money online. And you can choose to promote anything you like. You don't have to send out shady make money online offers. You can promote dog cages or baseball bats, or anything in between. Here's a comparison chart of what 7 Minute Daily Profits gives you versus what Wealthy Affiliate gives you. There IS no comparison. Learn to do this the right way. It will pay off for you. While 7 Minute Daily Profits does have a few decent training videos inside the system, I still would not recommend this product. The way they set things up and teach you how to do things is not a good way to do business, in my opinion. Not only that, but it's going to cost you quite a bit to buy traffic to send to your site. Instead, I recommend you learn how to create a site the right way and learn how to be helpful to people so that you can have lasting success. Plus, Wealthy Affiliate's training focuses on getting free traffic from Google. Not only will this save you money, but this traffic can last for a long time into the future. If you buy traffic, you'll continuously have to buy it. You can try Wealthy Affiliate as a Free Starter Member to see if will work for you. You only need your email address to sign up. If you have any questions or comments about this 7 Minute Daily Profits review, or about Wealthy Affiliate, or affiliate marketing in general, leave them for me below and I'll get back to you as soon as I can. Hi Christina, this is the second review I am reading on 7 MINUTES DAILY PROFITS scheme. And the first reviewer shares your opinion, 7 MINUTES DAILY PROFITS is a big scam. Fake testimonials from popular fiverr actors, plus a lack of detailed information on how the software works. Most of all, bogus claims of making $500 plus in your first day, makes it too good to be true. And too good to be trues are actually lies. I wouldn’t advice anybody to purchase this product, because it is a scam, from any angle you want to look at it. I can’t even think why these marketers say that you can make $500 a day right away. It doesn’t make any sense! I mean, I guess that’s how they draw people in to purchase. The other thing is, because this product requires you to buy traffic, perhaps you can make $500 through the traffic that you buy. But that’s really risky because you might end up spending $1000 (or more) to make that. Obviously not worth it. But, no matter what you do, if it’s anything that’s worth it, it’s going to take time and hard work. I think we just have to accept it in our minds, and move forward. Thanks for writing this review on 7 minutes daily profits, one of the known fact is that is not possible to generate $500 everyday with just 7minutes work, if it is that easy then everyone on internet will have become a millionaire. I see this review on 7 minutes daily profits as an eye opener because 7 minutes daily profits with all the fake testimony is after newbies online to scam them of their hard-earned money with fake software. Those fake testimonials are always a big, red flag for me. Being a member of Wealthy Affiliate, you have likely seen either testimonials or success stories about them. They don’t have to fake anything because the people that go through the training and use the tools get real results. Hello, wanna appreciate your effort on taking time to do this review about platforms like the 7 minutes daily profit. I’m with the believe that this reading reviews like this is one of the best ways we can avoid scam sites like this. Aside from wasting money, you also waste your time which is very valuable. You compared it to wealthy affliate towards the end of this article and I wanna say it’s the best platform for me. You hit the nail on the head. The WORST thing to waste is your time. And that’s what a lot of these products do. Even if you read through all the PDFs, it’s not enough information to really make a living at this. Time is our most valuable asset. Instead of wasting time on “make money fast” products, I recommend spending time learning how to create a website properly so that it can create an income well into the future. Thanks for your thoughts on my 7 Minutes Daily Profits review, Alex! 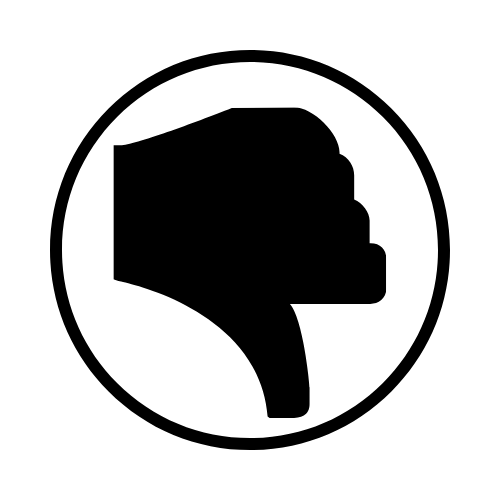 Hey Christina yet another solid review or a not so solid product. 7 Minutes Daily Profits like your say sets alarm bells ringing with just the name as most experienced marketer know this is a bit fair fetched to say the least. You do however cover some valid points about using affiliate marketing as their way to make more money. I must admit when you compare 7 minutes daily profits to Wealthy Affiliate then it clarifies just how good WA is. As you have gathered I will not be purchasing this one.